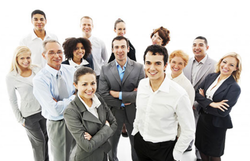 We are leading service provider of Virtual Staffing Services. Developing a thorough and accurate job analysis and job description for each position in your company will help you hire and retain the right people for the right jobs. I am taking this opportunity to introduce Providing skilled labour / supervisors staff Service with On Job Training to address the current manpower shortage & groom work force as per requirement of Industry. SKILL STAFF INDIAManagement (SSI), Bhosari, Pune to offer skill based Third Party Staff Service with On Job Training program of MANUFACTURING PROCESS AND SKILL DEVELOPMENT. We have hand picked, trained and established a good relation with our team who is capable of attending to your very specific business operation requirements. Virtual staffing is a simple and easy solution to cut back on your office running costs. Instead of limiting your skills to your locality, you can tap the huge talent pool present across India. Everything becomes easy as it is managed by phone calls and internet. Inspired IT Services Pvt. Ltd.